rysowAnia is my Tolkien Artist of the Month. Last week, I looked at “Nienna“, her depiction of the weeping Vala. This week, I consider “Looking into the Stone“, which concerns Denethor and the Palantír of Minas Tirith. 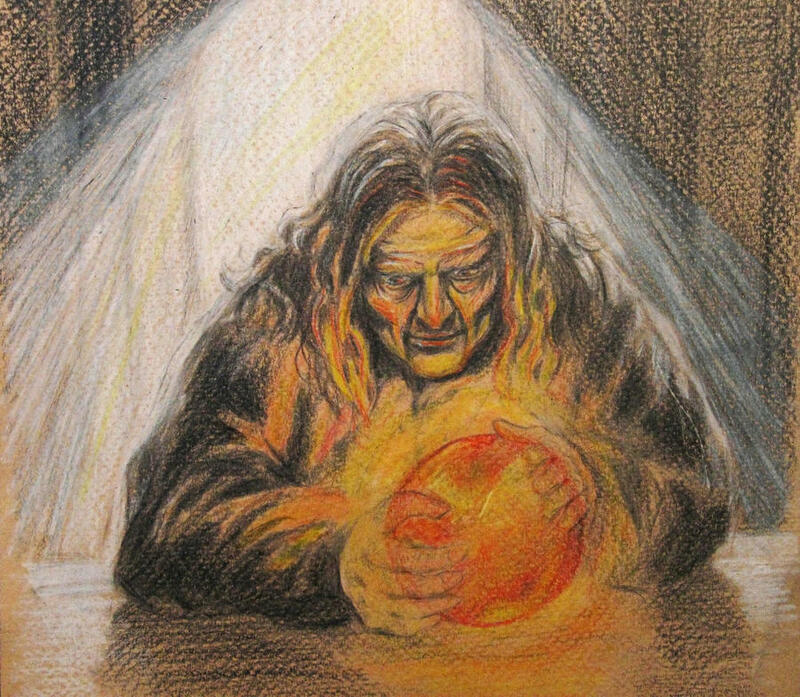 Denethor appears just like I’d imagine him to look as he stares into the Palantír: hungry (even greedy!) for some hopeful knowledge, haggard with the worries of siege and a shrinking realm. It’s interesting to note that his hands become translucent when gripping the seeing stone. It’s almost like he’s in the process of becoming a wraith! He seems not altogether so different in spirit from Gollum, desperate as he was for the One Ring.